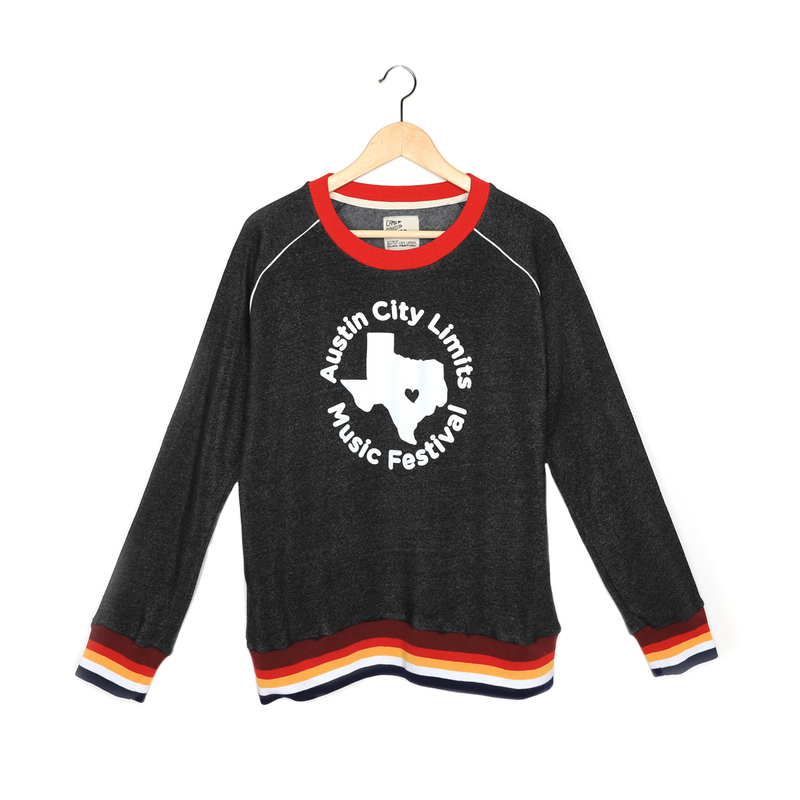 From our exclusive collab with Austin City Limits Music Festival. 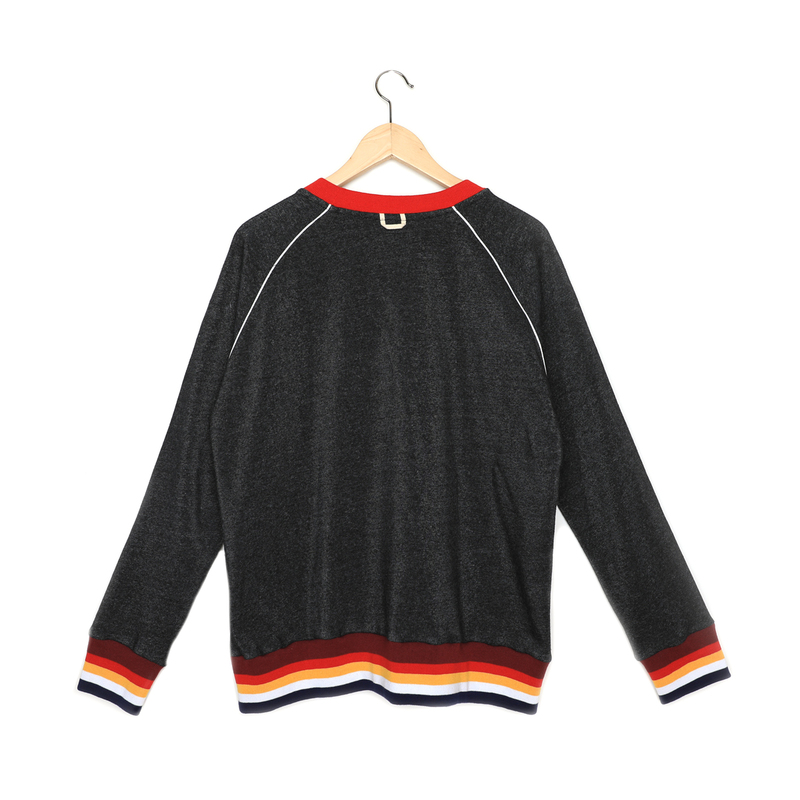 Men’s fit sweatshirt with piping in raglan seams. Rainbow varsity rib waistband and cuffs. Front graphic: Austin City Limits Music Festival. Locker loop at back neck.